The robotics industry has graduated to be big business — at least for research firms. 47 different reports on subjects ranging from broad to very drilled-down views of the industry are analyzed and projected upon with widely differing forecasts. Below are short profiles of each of those 47 reports. Many of the reports duplicate the coverage of others and frequently differ on forecasts. Some are marginally useful; others are chock full of valuable information. Bottom line, all the reports are forecasting positive double-digit growth for most segments of the robotics industry. The report forecasts that the number of industrial robots in use will increase from 1.658 million units in 2015 to a new peak of 2.96 million by 2020. Forecasts their take on the top 18 robotic companies for the period 2016 to 2022. Forecasts the market for industrial robotics in heavy industries to grow at a CAGR of 6% during the period 2016-2020. Forecasts this subset to grow at a CAGR of 16.27 over the period 2015-2020. Predicts these robots to grow steadily at a CAGR of 7% through 2020. Forecasts that CAGR of annual installation of China’s industrial robots will surpass 20% during the period to 2020. The report focuses on China major leading industry players providing information such as company profiles, product picture and specification, capacity, production, price, cost, revenue and contact information. Forecasts this segment to grow at a CAGR of 6.09% through 2019. This report explores Chinese vendors in detail and presents capacity, production value, and 2011-2016 market shares for each company. Global industrial robotics used in the food and beverage industry to multiply at a CAGR of close to 29% during the forecast period. The global material handling robotics market to grow at a significant rate of nearly 9% and exceeding $20 billion by 2019. 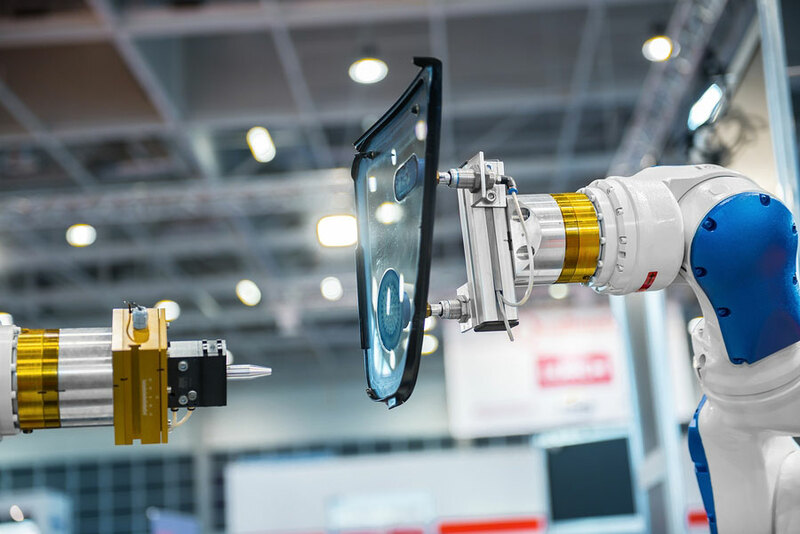 The use of Cartesian robots, often used as a CNC machine or for milling or drawing, is growing and this report expects that growth to continue through 2021. Focuses on unit shipments by 46 profiled companies covering weeding, harvesting, UAS, driverless systems, crop scouting, greenhouse operations, livestock farming and milking robots. Reports that units in 2015 were up 35% from 2014 and that 27% of global total was in China, up 36% from 2014. Profiles key players 3D Robotics, AeroVironment and DJI. Forecasts the worldwide market at $6.8 bn in 2015 to $36.9 bn by 2022. Forecasts the global UAV market to grow at a CAGR of 10.16% during the period 2016 to 2020. Forecasts that the commercial drones marketplace will have exponential growth in the next 5 years. Defense drones market forecast to grow at a CAGR of 6% through 2020. Forecasts the combined UAV industry to grow at a CAGR of 7.1% from 2015 to 2020. Forecasts growth at a CAGR of 6.52% during the period 2015-2020. The global market for UUV, ROV and AUV is projected to grow from $2.29bn in 2015 to $4bn by 2020 at a CAGR of 11.9%. Forecasts the global aerial imaging market to grow at a CAGR of 13.28% during the period 2016-2020 as the transition from high-cost piloted aircraft takes place. The global UGV market is projected to grow from $6.4 billion in 2015 to $18.6 billion by 2020. ​Forecasts market growth of 6% CAGR during the period from 2016 to 2020. This report analyzes market dynamics such as drivers, constraints, opportunities, threats and challenges. Forecasts this market segment to grow at a 40.7% CAGR to 2020. The prosthetic and therapeutic robotic devices sector will grow into a $1.9 billion and $1.7 billion market by 2025 respectively. Forecasts the global exoskeleton robots market to grow at a CAGR of 50.85% during the period 2016-2020. Forecasts the global rehabilitation robots market to grow at a CAGR of 24.51% during the period 2016-2020. This market segment was only $84 million in 2015 but is forecast to reach $4.6 billion by 2022. This market segment is forecast to reach $2.7 billion by 2022. Worldwide market valued at $2.2 billion in 2012 and forecast to grow to more than $10 billion by 2021. This market segment is expected to reach $7.3 billion by 2022. Forecasts this market to grow at a CAGR of 8.2% through 2020. Robotic vacuum cleaner market will grow at a CAGR of 15.3% and reach $3.31 billion by 2020. Forecasts robotic lawnmower market to hit $2 billion by 2021. Telepresence robots at $825 million in 2015 are forecast to reach $7 billion by 2022. Forecast to generate $137 million by 2022. Analyzes key players including iRobot, Honda Motors, Adept Technology, Lely Group, Google, Amazon, Northrop Grumman, Bluefin Robotics, ABB and Yaskawa Electric. LiDAR and low-cost variants are expected to grow at a CAGR of 12.4% and reach $3.22 billion by 2022. This market segment is expected to hit $1.63 billion by 2020 growing at an estimated 10.5% CAGR. This segment expected to grow at 10.8% from 2015 to 2020. Radar, comms, sensors, cameras, gimbal devices all make up the “payload” market which was $2.1 bn in 2015 and is expected to reach $3.2 bn by 2025. Only 3.93% CAGR which reflects both fast growth and costs continuing to drop. 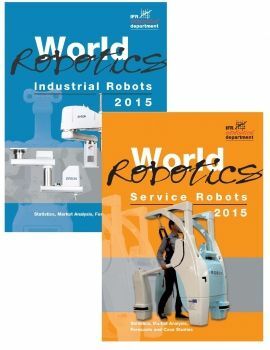 The fact-based backbone for many of these research reports is the International Federation of Robotics (IFR) annual World Robotics Industrial and World Robotics Service reports. These two books represent the official tabulation from all the robot associations around the globe. The 2015 reports cover 2014 activity. The two 2015 reports can be purchased for $2,275. The IFR industrial robots report forecasts a 15% CAGR (compounded annual growth rate) for the next 4 years and, for the same period, the service robots report forecasts a 19% CAGR for professional and field service robots and 27% CAGR for household, consumer and personal service robots.